A while back someone--I've since lost his name--sent me this scan. 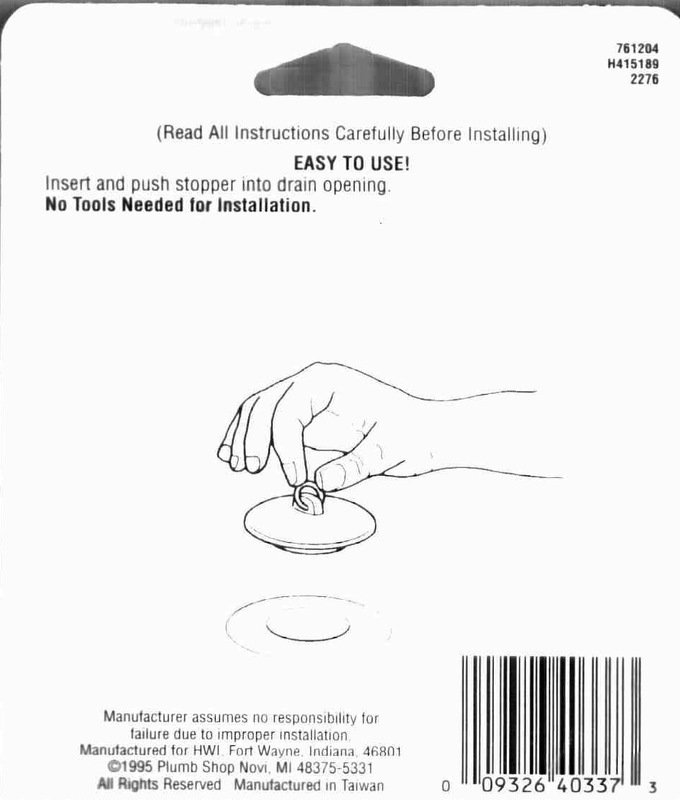 It's of the back of a package for a rubber drain stopper. I'm glad they include instructions for this. If they didn't, can you imagine the danger that would ensue? 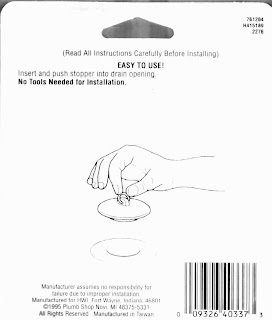 And remember, folks: No tools needed for installation!